You can always count on Bette Midler for some hilarious celebrity commentary on Twitter! The 70-year-old legend has been known for her witty banter and quick quips on the social media platform, as her reluctance to hold back makes for a pretty great headline. Especially when she decides to discuss the Kardashian-Jenners. 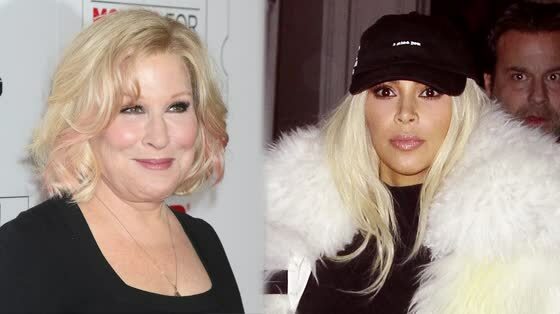 On Thursday, Midler expressed her confusion over the intricate, interconnected Kardashian family tree -- one that was made even more complicated when Rob Kardashian proposed to Blac Chyna a couple of weeks ago (Chyna has a child with Tyga, who is Kylie Jenner's current boyfriend). Rob Kardashian's engaged to the MOTHER of the child of Kylie Jenner's boyfriend? They'll share a stepchild? Somebody send me a chart! "Rob Kardashian's engaged to the MOTHER of the child of Kylie Jenner's boyfriend?," Midler wrote. "They'll share a stepchild? Somebody send me a chart!" In less than 24 hours, the tweet has over 1,000 retweets and has garnered Midler more than a handful of headlines. This isn't the first time Midler has gotten into it about the notorious family: Last month, when Kim Kardashian posted a naked mirror selfie, Midler was one of the first stars to call her out for posting the racy picture.